A Spanish Red Cross spokesman in the Andalucian province of Almería says the organization has noted a significant increase in the number of sub-Saharan African migrants crossing the Mediterranean in small launches over the past months, apparently part of human trafficking operations involving organized gangs in North Africa and Spain that in many cases coerce women and children migrants into forced labor and prostitution to pay off their debt to the traffickers. Spanish Salvamento Marítimo coast guard ships off the Andalucian coast have also noted an uptick in the number of ‘boat people’ making the crossing from North Africa to Spain. Last week, the coast guard reported rescuing 87 migrants, including 15 women, aboard three boats about 40 nautical miles south of Almería and on Tuesday reported rescuing 29 men and four women aboard a boat that reached the small volcanic island of Alborán, about 50 km north of the Moroccan coast and 90 kilometres south of Almería. According to Red Cross spokesman in Almería, Francisco Vicente, in the first four months of 2017 the organization already has attended to about 1,500 ‘boat people’ reaching the Almería coast. 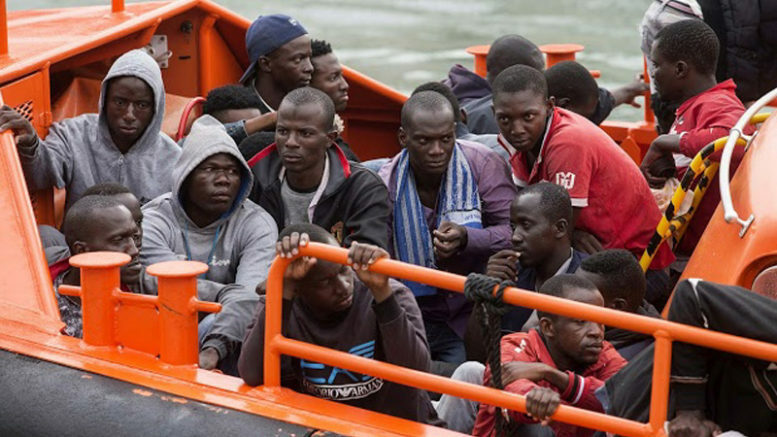 In all of last year, the total number of migrants reaching Spain by boat from north Africa was 2,200, with the 2016 figures having represented a 44 percent increase over the number of arrivals in 2015. Most notable, the spokesman said, is that boat people making the crossing in previous years were mainly of Algerian-Moroccan origin in groups of 15 or 16 per boat, while they are now increasingly of sub-Saharan origin and travelling in small launches that are overcrowded in groups of 30, 40 and 50 migrants per boat. Vicente also said the boats are clearly being run by large trafficking organizations, with the noteworthy presence in the migrant groups of more women and children, many of whom disappear from the migrant reception centers almost immediately in order to work for the traffickers and pay off their transportation debts.